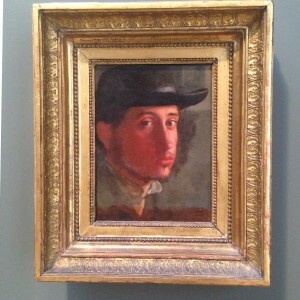 Edgar Degas self portrait at 23 years old. (Around 1850’s). It was never meant to be seen by the public. 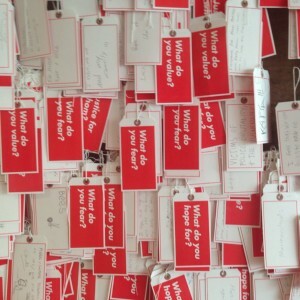 Barbara Kruger known for her large scale image and video work installations worked in the Getty artist program in 2014/15. She worked with high school students on art and critical thinking.